The RFS 7000 wireless switch delivers unmatched performance, security, resiliency, scalability and manageability for the large wireless enterprise/campus/warehouse, providing a single platform capable of delivering carrier-grade wireless voice and data for 8,000-96,000 users. Motorola's Wireless Next Generation (Wi-NG) architecture improves operational efficiency of a wireless switch and reduces the cost of mobility with a powerful comprehensive feature set. Improve business process flow with one platform for wireless voice, video, data and multiple RF technologies on one platform — such as RFID, Wi-Fi (including 802.11n) and future technologies such as Wi-MAX; rich enterprise-class functionality includes seamless roaming across L2/L3 deployments, resilient failover capabilities, comprehensive security, toll-quality voice and other value-added services, such as multi-RF locationing. The built-in wireless intrusion protection system provides defense against over-the-air attacks by leveraging the sensing capabilities of AP300/ AP51x1/ AP7131. Exceptional level of data and network protection without sacrificing fast roaming. Provides rich locationing services to enable real-time enterprise asset-tracking through support for 802.11, RFID and third party locationing solutions. Virtual AP provides better control of broadcast traffic and enables multiple mobile and wireless applications with quality of service when network is congested; Power Save Protocol optimizes battery life. 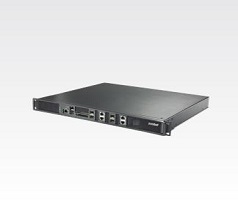 Supports 1024 AP-5131 802.11 a/b/g or AP-7131 802.11 a/b/g/n Adaptive Access Points per Switch and 12,288 per cluster. Multiple country configuration support for Adaptive AP.